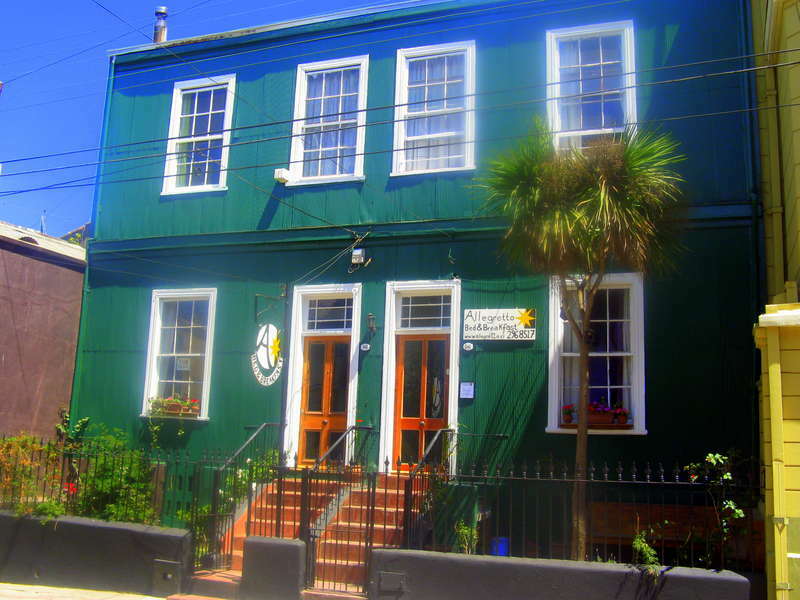 Set in a charming refurbished house only a 10-minute walk from Puerto Metro station, Allegretto Bed & Breakfast offers rooms with free Wi-Fi in Valparaiso. 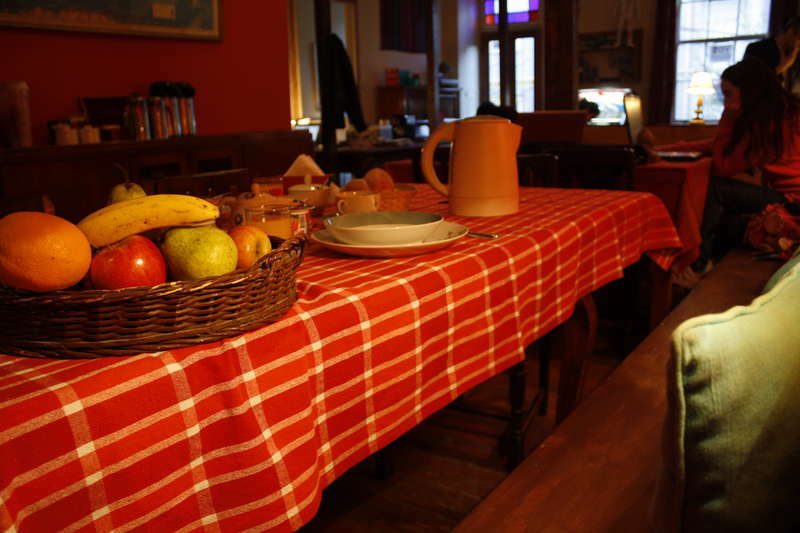 Breakfast is provided and common kitchen facilities are featured. Decorated in lively colours, rooms at Allegretto feature heating and large windows. Most of them have private bathrooms. Laundry service is provided. Guests can relax in the lobby, which features a Wurlitzer vinyl record player. Pablo Neruda’s house is 4 km away. 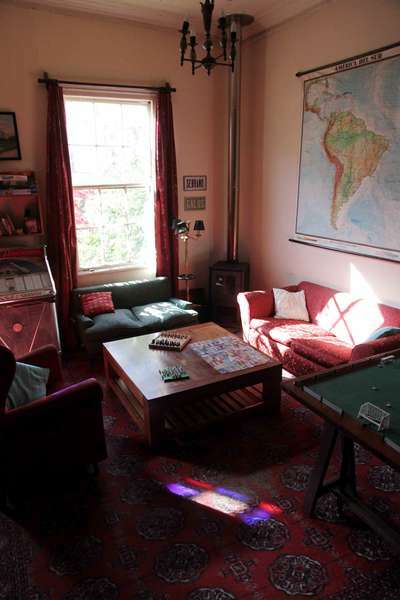 Allegretto Bed & Breakfast is 105 km from Arturo Merino Benitez Airport in Santiago. From the bus station take any bus that says “Aduana” on the front. Ask to be put off for Plaza Anibal Pinto. Cross the busy road and walk through Pasaje Melgarejo to the Plaza. From the far side of the plaza take a collectivo (a taxi you share with others) up Almirante Montt street that climbs the hill and ask to be put off at the street Lautaro Rosas. We are the fifth house down on the left. At the bottom of the hill that descends into Valparaiso take the second left into Independencia street. Continue until you pass the park on your right and then take the third road after on your right, Las Heras. From that road take the fourth left into Brazil street. After the third of three supermarkets on your right the road goes between two big office tower blocks. After these take the second turn on your left, a short street called Ross, which has traffic lights at the top where you should turn left. You then take the next right, and then immediately fork right again up the hill. Turn left at the next t-junction and then Lautaro Rosas is the second road on the right. We are five houses down from the corner on the left. Alternatively, for the restaurant turn right at the t-junction and we are just the other side of the church. Guests can in general cancel their bookings if they need to. If they do it at least one day in advance, we will not charge any fee. On the other hand, if a reservation is not canceled and guests fail to show up, we will charge the first night of their respective stay.